Understanding ammunition and how it works is essential to a safe and productive shooting experience. 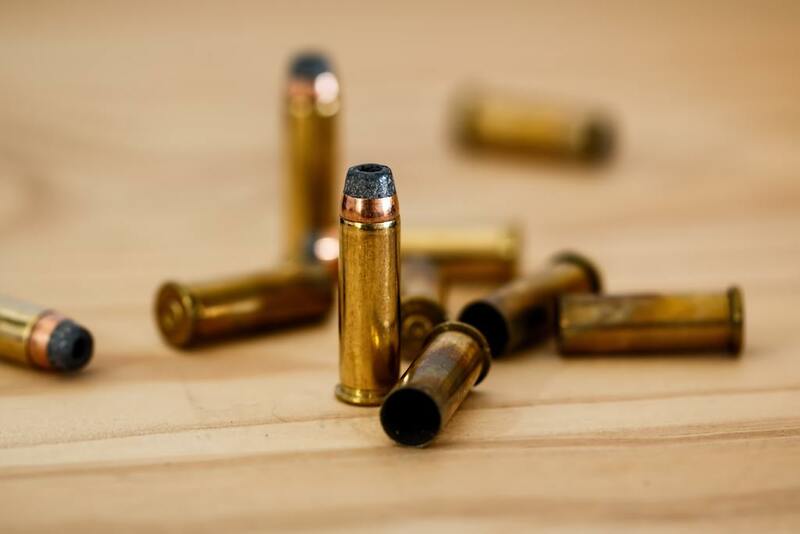 To make sure you can choose the correct ammo for your firearm and your specific needs, it's good to have an understanding of the basic components of ammo. So, what are the basic parts of ammunition? 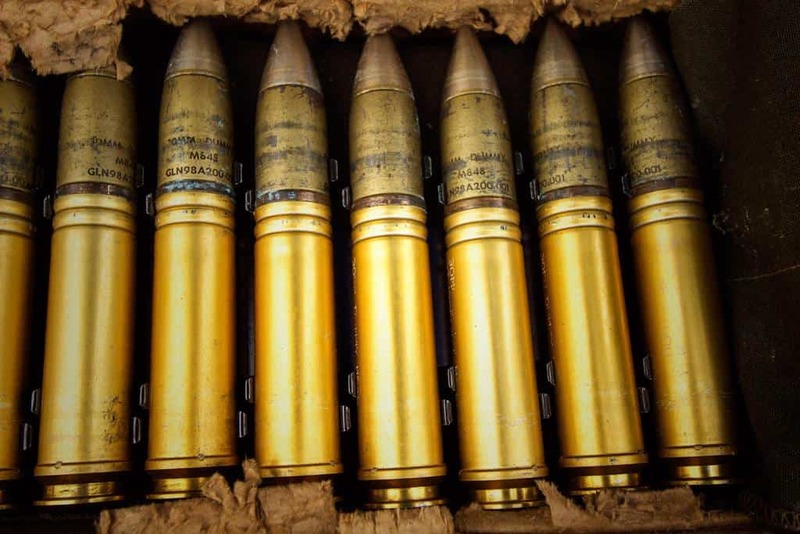 ​What are the Basic Parts of Ammunition? Ammunition typically constitutes numbers 1,2 and 4, which are contained in the barrel when firing. For centuries, early firearms used what we referred to as fixed ammunition. This means the components were loaded individually to the gun by a reloading press and were contained by it. If you're looking for a press to reload your ammo, read our detailed reviews of reloading presses on the market . For instance, a rifle barrel would be loaded with a charge of gunpowder. Next, the projectile would be loaded into the barrel. Finally, a priming source (usually a fine, fast-burning powder) would be loaded. Ignition sources ranged from simple burning pieces of string to complex, clock-like mechanisms that spun a striker piece against a piece of flint to create a spark. Fixed ammunition is slow and difficult to load, easily affected by environmental conditions, and has severe restraints on the amount of power that can be created. ​Naturally, a better method of loading ammunition was desired. Some guns started to use a paper patch to hold the powder and bullet while the primer was loaded separately. This was an improvement in loading capabilities, but ultimately only a stepping stone. Finally, the cartridge was invented. The cartridge held all of the separate ammunition components together in one piece. This protected the sensitive chemical components from outside effects and also made it possible to load and fire the gun as fast as a new cartridge could be mechanically loaded into the chamber and fired. Rather than relying on an external source of ignition, the concept of a primer mounted in the cartridge case improved simplicity and reliability of guns. They could now be set off through the mechanical force of a firing pin or striker. Today, nearly all of what we call “Ammunition” comes in a cartridge (with the exception of muzzleloaders and air guns). The cartridge revolutionized firearms, and it's the parts of the cartridge we'll be discussing. The Projectile - a solid, one-piece projectile fired from a rifle or handgun is called a bullet. The word bullet is sometimes used to refer to the entire cartridge, but in truth it solely means the fired projectile. Shotguns use different terms. A solid projectile fired from a shotgun is referred to as a slug. Multiple pellet projectiles fired from a single shotgun shell are referred to as shot. Small diameter shot used for small game is referred to as birdshot, while more powerful larger diameter shot is called buckshot. The Cartridge Case - the case is what holds everything together. Early cases were made of waxed paper, but brass quickly became the standard. Cases may be made of other materials such as steel, aluminum, and even plastic. The case is the part that is ejected when the gun is cycled. Shotgun cases are frequently referred to as shells or hulls and are generally made of plastic with a short metal base for support. ​The Powder - Gunpowder is burned up to create a wave of expanding gas. This rapidly expanding gas is what pushes the projectile out of the barrel with such force. Early cartridges used the same black powder as muzzle loaders, but the standard today is high-pressure smokeless powder. Smokeless powder burns at a much higher rate and creates much higher pressures. It produces less smoke and a brighter flash. It is capable of much more power than black powder, but exerts much more force on the gun. 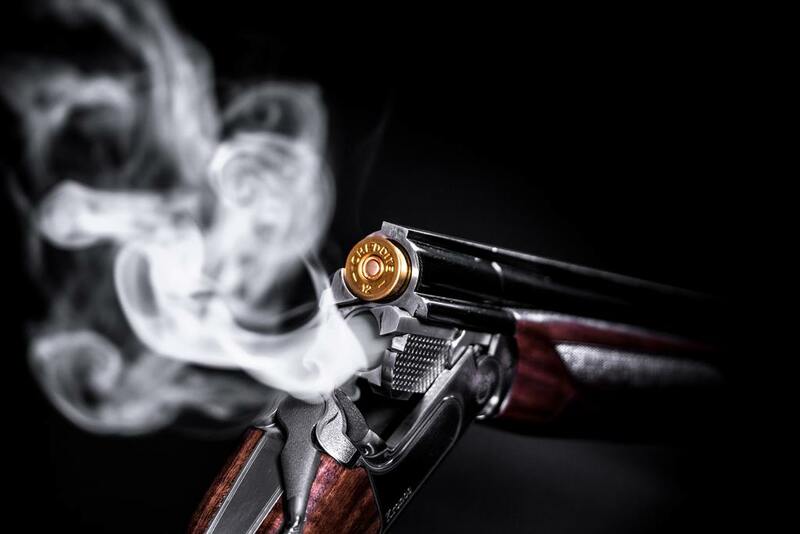 Smokeless powder can destroy a gun that was designed for the much weaker black powder. The Primer - The primer is what sets it all off. The primer, containing a shock-sensitive combustible chemical, is crushed by the firing pin or striker of the gun. The resulting combustion is then funneled into the main charge to set it off and fire the projectile. ​Although there have been many types of ammunition produced, today we use two common types of cartridges: rimfire and centerfire. The names refer to the location of the primer in the cartridge. ​A centerfire cartridge uses a small primer cup that sits in a pocket in the rear of the cartridge. The firing mechanism strikes this primer cup, crushing it and setting off the solution inside. On the other hand, rimfire cartridges use a primer paste which is loaded inside the rim of the cartridge. Instead of a separate primer cup, the rim of the cartridge itself is crushed. Once widespread, rimfire cartridges are reserved mostly for low-powered cartridges used for training, target shooting, and small game hunting. The most popular of these is the .22 Long Rifle. Others, such as the .22 Magnum and .17 HMR, also hold a small market niche. ​The number of commercial rimfire cartridges are very few compared to centerfire cartridges, which make up the vast majority of handgun, rifle, and shotgun ammo today. Rimfire cartridges are very cheap to produce, keeping them popular for training and recreational shooting. However, they are considered to be less reliable, dirtier, and significantly less powerful than centerfire cartridges. The cases can also not be safely reloaded by shooters, unlike most centerfire cartridges. 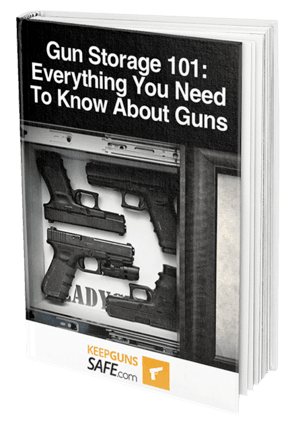 ​Check out our comprehensive buying guide below so we can help you choose the best storage option for your rifles. ​Ammo reloading is a skill used by many dedicated shooters and hunters. By loading ammo, shooters can save money and create ammo to their exact specifications. The heart of ammo reloading is the cartridge case. 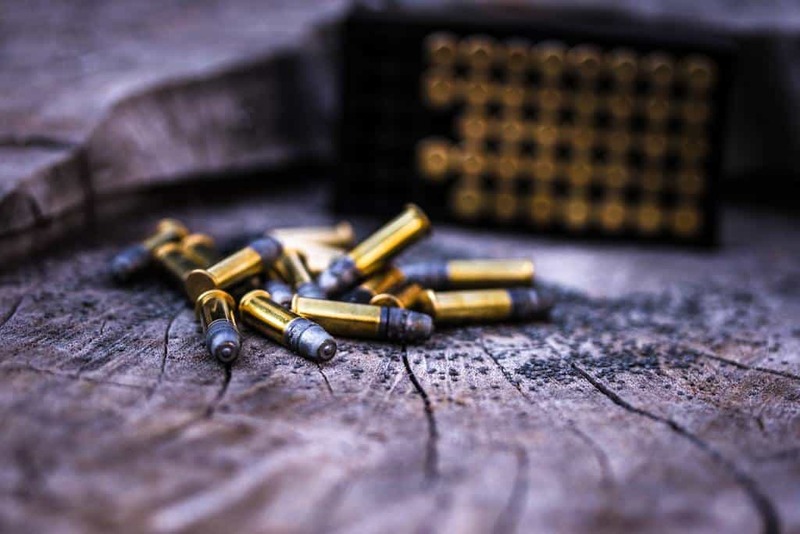 Cases may be bought new from manufacturers for this purpose, saved from fired cartridges and re-used, and even made from cartridges of other calibers. The latter is frequently done to create obsolete antique ammo that is no longer commercially available. The re-loader can usually safely reuse spent cartridge cases several times, saving money over all. They will re-work the case using specialized tools, replace the spent primer with a new one, carefully load an exact amount of their chosen powder, and seat a bullet of their choice. Not only can money be saved this way, it allows the loader complete control over their ammo. They can create low powered ammo with low recoil, specialized hunting ammo for shooting, or high precision match ammo. It's a popular practice for shooters looking to squeeze maximum performance from their guns. ​As we mentioned earlier, understanding ammo and gun components is essential to choosing the right ammo for your gun. One of these important choices is the use of brass or steel cased ammunition. Steel cased ammo is attractive to new shooters because it is available at a lower price, and often appears to function the same in a gun. However, there are some important differences that must be understood. Steel and brass are both metals used to form cartridges. Brass is softer and more malleable, while steel is harder. Brass is naturally more slick and will conform to chamber walls when fired. Steel is rougher and will not expand to seal gaps which allow gas to escape. ​Steel readily forms oxidation (rust) which would negatively affect performance. For this reason, steel cases are commonly coated in a thick lacquer which can melt off the case and cause malfunctions in the gun. Some steel cases are plated with metals such as zinc, nickel, and brass, which negates this issue. ​One of the biggest problems with steel cased ammunition is the hardness of steel. Steel will create much more wear on key components such as extractors and ejectors than brass will, and may shorten the service life of these parts. Steel cased ammo might even have bullets with steel cores, which will increase friction and wear on the barrel. Steel case ammo is tempting because of the low price. But, it is recommended to use only in guns which were designed to accommodate it. Such firearms include the SKS, AK 47, and Mosin Nagant rifles as well as a number of police and military handguns imported from European countries. Using steel cased ammo in newly manufactured American guns is usually discouraged and may even void your warranty. Be sure to consult your owner's manual before use. ​Although firearms technology continues to advance, ammunition has maintained essentially the same form for well over 100 years. Better understanding of the basic parts of ammunition will help you practice safe and successful shooting. Remember to practice safety and responsibility always, and happy shooting!